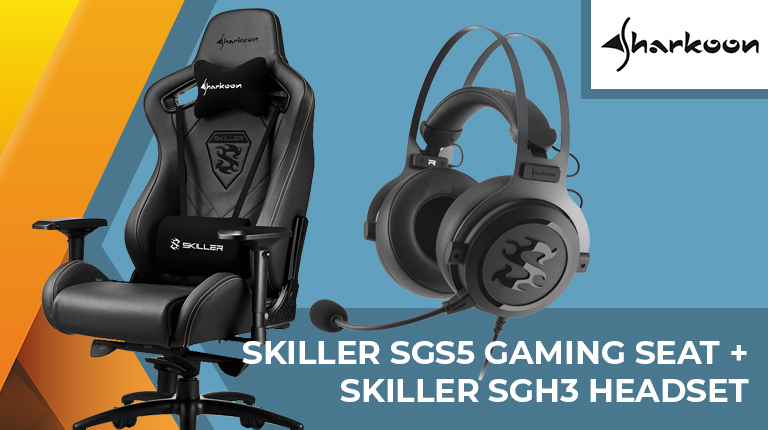 It's Day 29 and one lucky reader will be winning a Sharkoon Skiller SGS5 real-leather gaming chair worth €499 and a Skiller SGH3 headset with 53mm drivers! The competition winner will be picked at random from all eligible entries that arrive by 09:00 London time on the closing date, January 14, 2019. The prize is a Sharkoon Skiller SGS5 chair and a Skiller SGH3 headset. Windows 10 updated to enable USB 'Quick Removal' default Asus UK launches the RoG Strix Scope gaming keyboard HEXUS Week In Review: RTX 2060, CES 2019, and our final Epic prizes Sharkoon X-Tatic Digital v3: the ultimate games console accessory? is there no end to the goodies being hurled at some lucky peeps. Link for the chair is a 404. Many thanks to Hexus and Sharkoon.